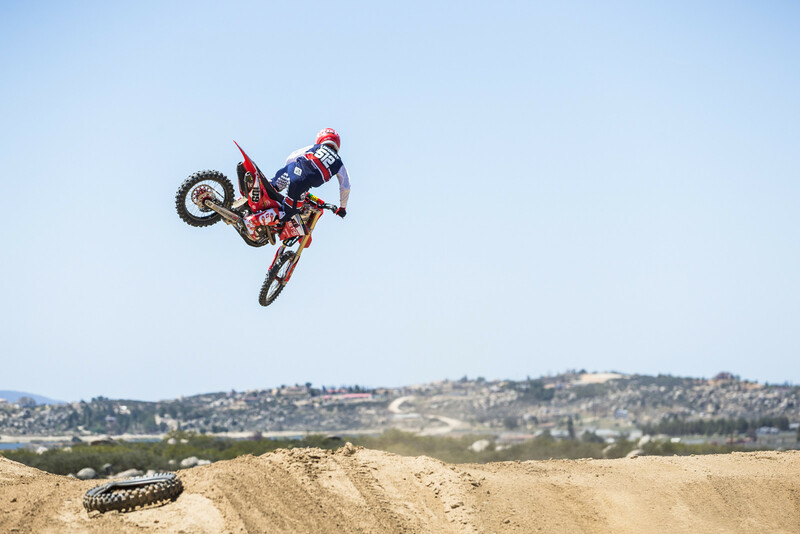 Honda’s latest generation CRF450R has been quite the hit, including the 2018 model winning our latest 450 Shootout. So naturally, we wouldn’t turn down a chance to ride any iteration of this bike. In this case, the bike in question was built up by Rocket Exhaust and it’s not the first of Don Leib’s bikes we’ve tested. 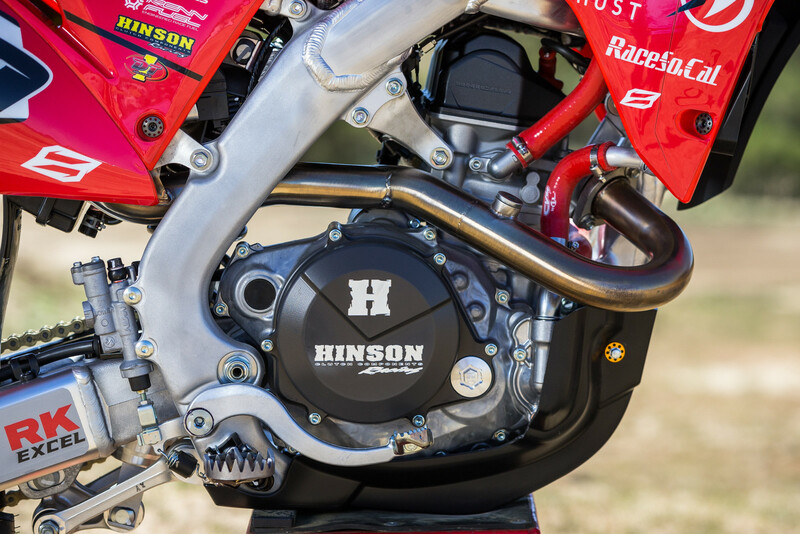 Previously, our experiences were focused more on 250Fs, so a built up 450 was enticing. So to kick it off, what’s been done? 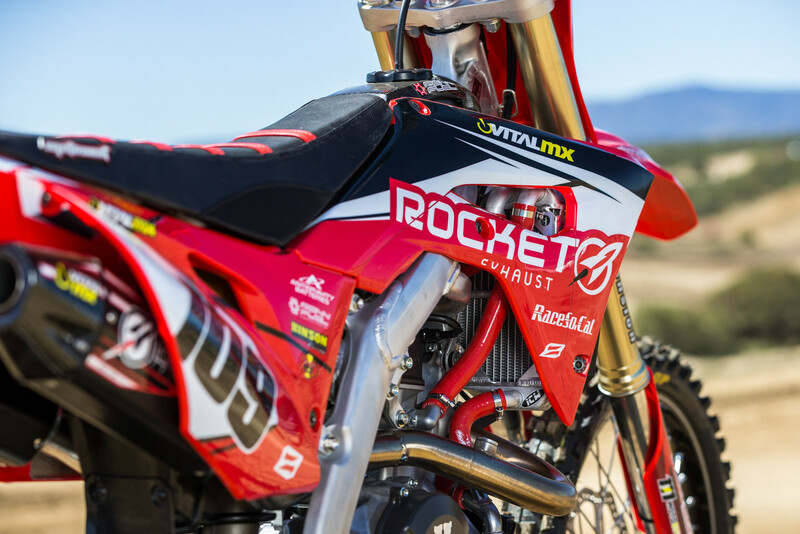 The full tech list can be found below, but in a nutshell, it has a full range of top-end work; piston, ported head, camshaft, custom ECU, throttle body mods and a full exhaust system from Rocket. Overall, we’re talking about an eight horsepower peak jump and almost five ft-lbs of torque. Is it necessary? No, but is it fun? Yes! 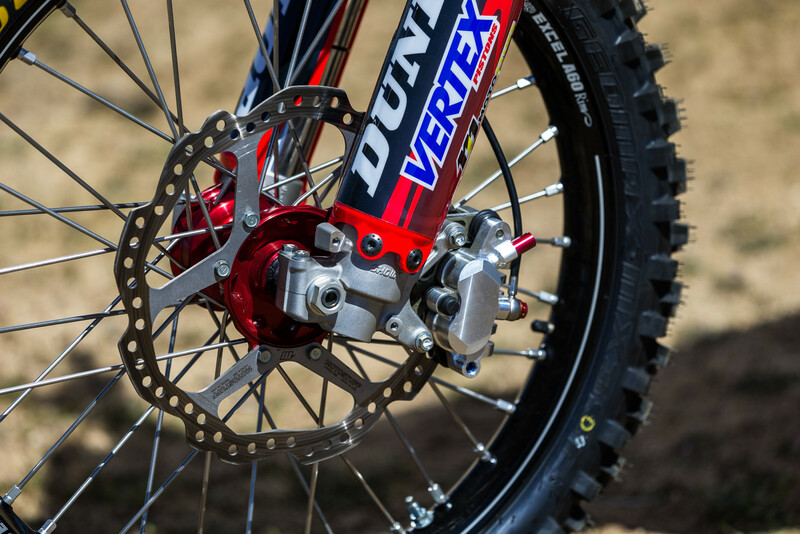 Throughout the rest of the bike, there are some bling and other performance-related parts such as MotoStuff’s 280mm front rotor and their billet brake caliper, a full Hinson clutch, set of wheels from Faster USA; as well as goodies from Cycra, SunStar, Mika Metals, and even a lighter battery from Anti-Gravity. 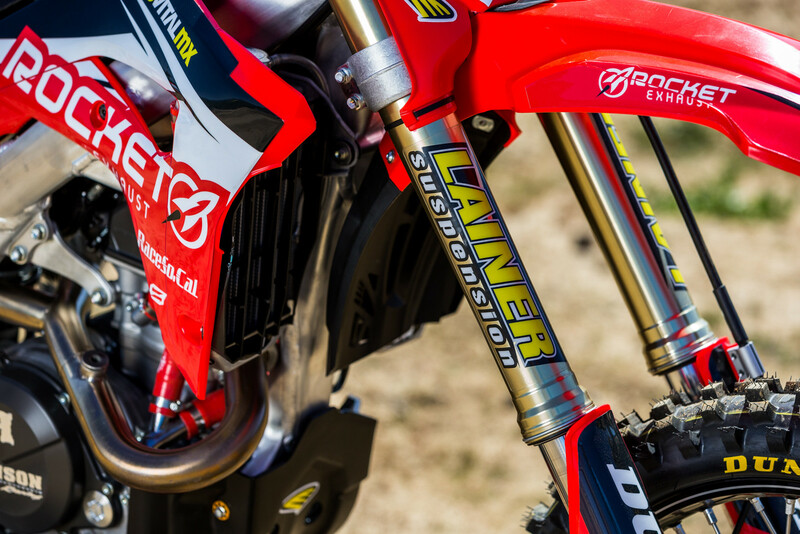 But the other biggest highlights were the suspension and accessories from Lainer. 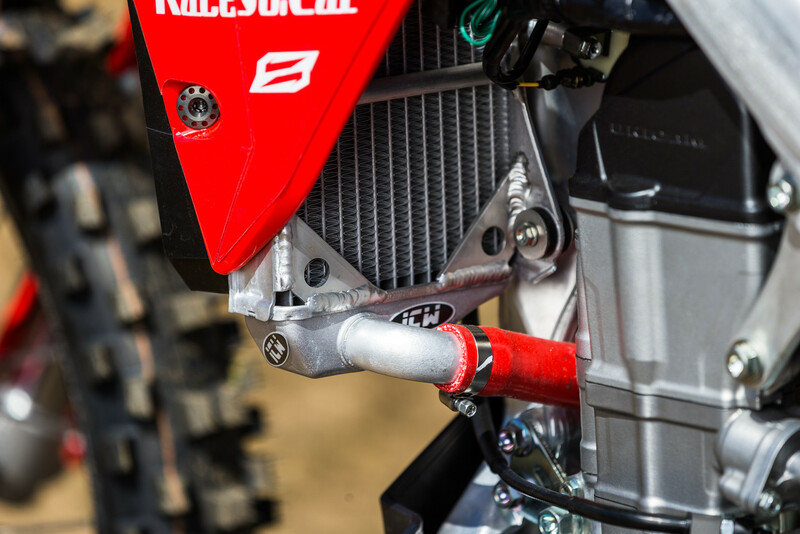 So how does a 450 that pumps out over 15% more power feel? Arm-wrenching? Wheelie overload? Naw, not quite, that’s the beauty of modern EFI. With someone good behind the laptop, you can tame bigger numbers, and in this case it was done pretty well. Having tested Rocket’s exhaust with and without mapping changes it was fun to see how some different electronic tuning can take a bike from explosive to usable. We actually sampled the bike with different maps, from something with a bit more grunt but brutal at times, to something smooth but with a deep amount of torque across the board. The most standout point other than just more power was the response, especially in the second map we tested. With this, the bike took all that power and made it rideable, but responsive at the same time. By this I mean the bike had improved response at all RPMs and any throttle position, giving the bike a very “racey” feel. 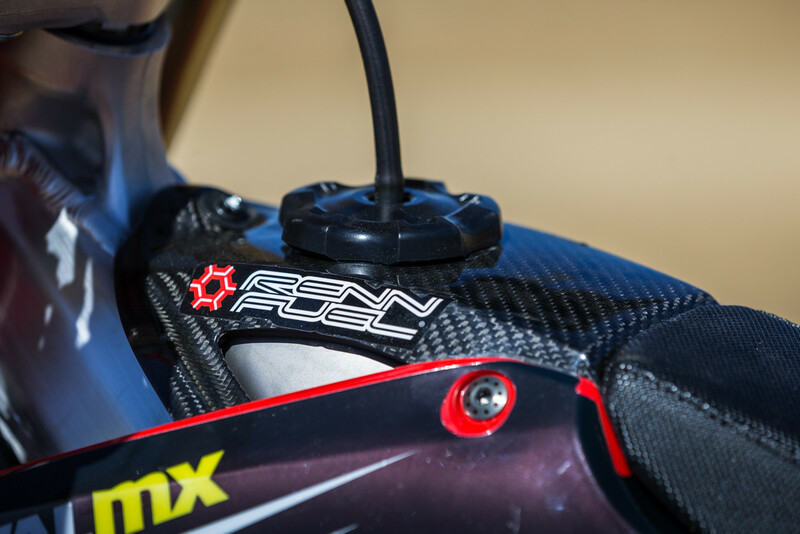 Compared to the stock engine, the majority of the gains are noticeable on each end of the powerband. Meaning that snappiness is quite noticeable off the bottom, along with more torque that helps when keeping it a gear higher in the corners but if you click it down one, you’re met with a LOT of hit when needed. The bike pulls well through mid RPMs, not a freight train but well, before pulling farther up top without revving out quite as quickly. Overall the bike is more rideable, giving a wider range of options based on throttle and gear position. As for the chassis department, things were left fairly untouched outside of some larger diameter handlebars and different mounts. 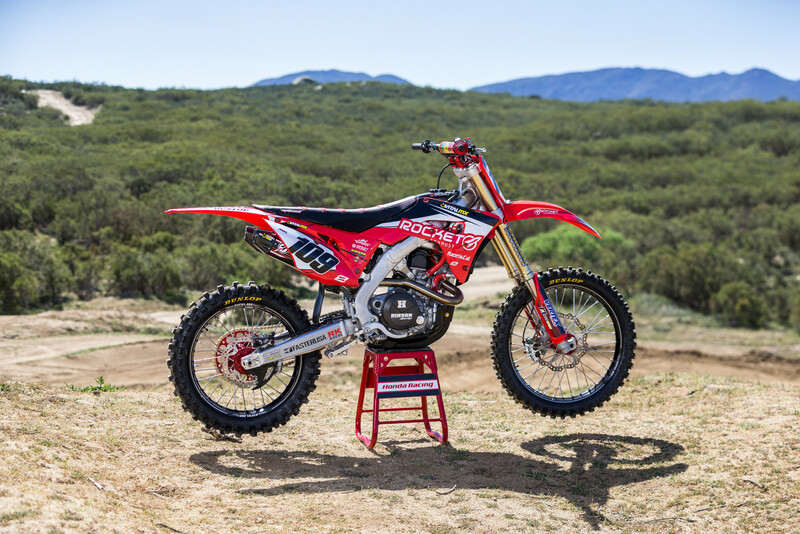 Considering how well-received the current generation CRF chassis is, that’s not a bad thing at all. The only negative is the chassis feels a bit rigid in some sense, making my personal wishes for a suspension setup that can be a bit softer and offer more absorption. I mentioned this to Lainer ahead of time, who took our wishes into account. Simply setting up a bike softer is not always as simple as it sounds when you’re also trying to keep the chassis balance in order. So how’d that work out? 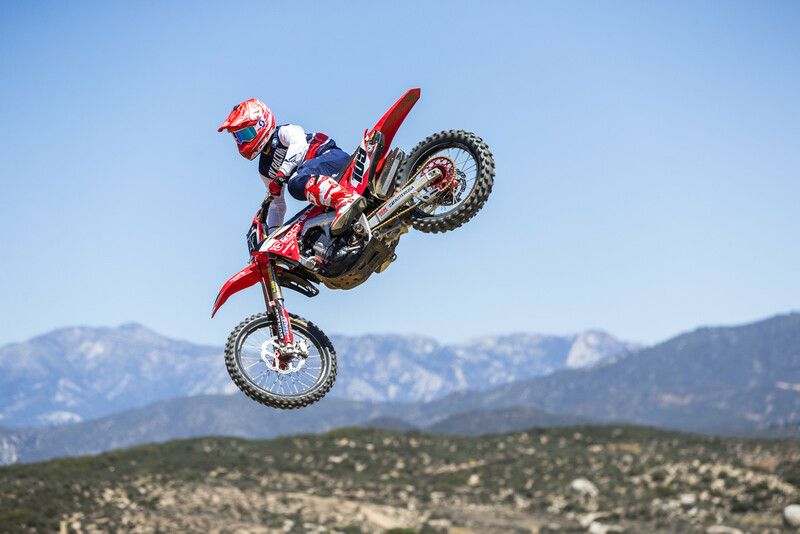 The CRF places quite a bit of weight on the front, so if things are a bit too soft, it can use a bit too much of the stroke under braking and in other situations. But simply ramping up the compression later in the stroke can make things harsh in certain situations. 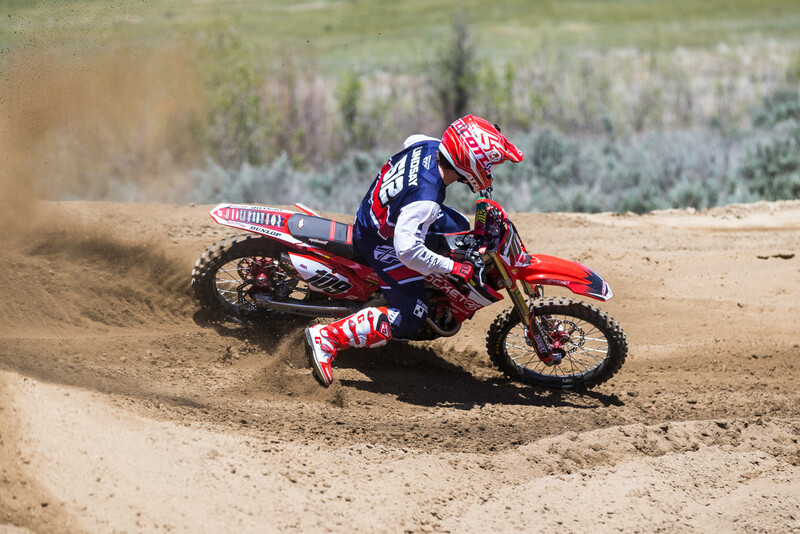 Overall, the combination of Lainer’s valving, choice of spring rate and personal oil must have done the trick as the fork was as plush as I’d hoped for, taking the edge off of what I usually feel on a stock CRF, but having just enough hold up to push a bit harder around the track. As I mentioned above, though, chassis balance was important to me so the front end didn’t feel overweighted due to a softer setting. Lainer was able to match the excellent performance up front with a rear shock that matched up well, especially under braking where the whole bike settled nicely on entrance and through the middle of the corner. 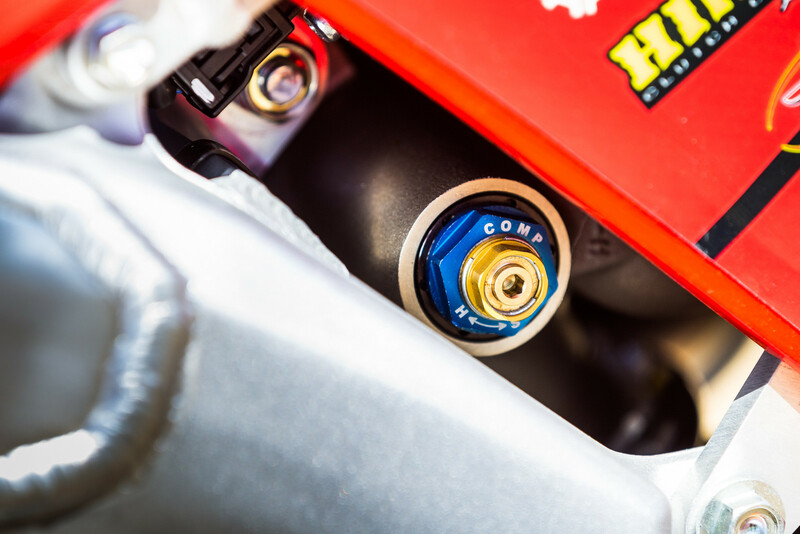 Lainer also attached a rebound stopper, which dampens the energy of the swingarm as it tops out from the rebound stroke. 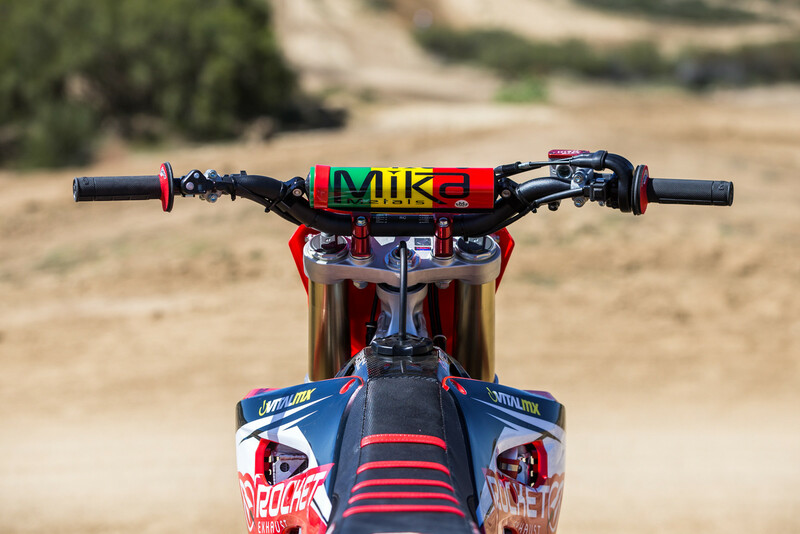 I’ve actually had the opportunity to test these before and it really shines on tracks with high-speed acceleration (such as Cahuilla Creek MX where we tested this bike). 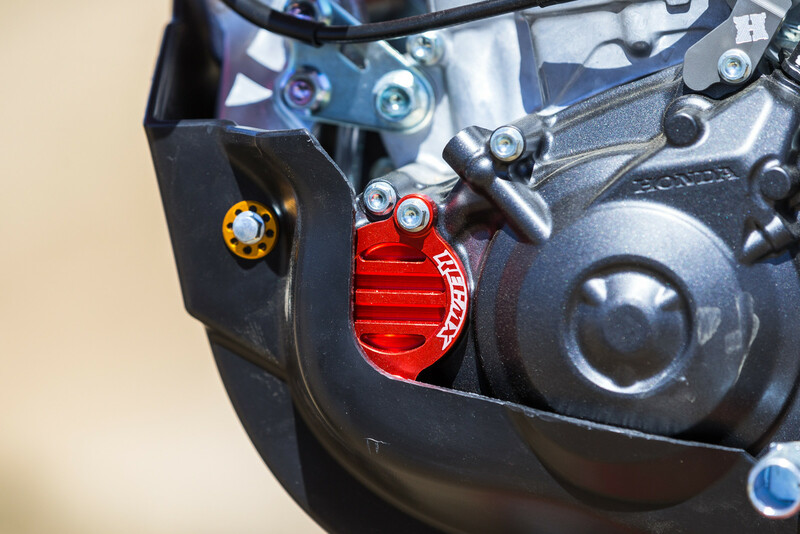 As the shock extends after hitting each bit of chop, the bumper dampens the energy through the chassis and allows the bike to settle a little bit quicker before the next hit. Overall, this just makes the rear end feel a bit more planted, especially when you’re rear steering the bike through rough acceleration zones. 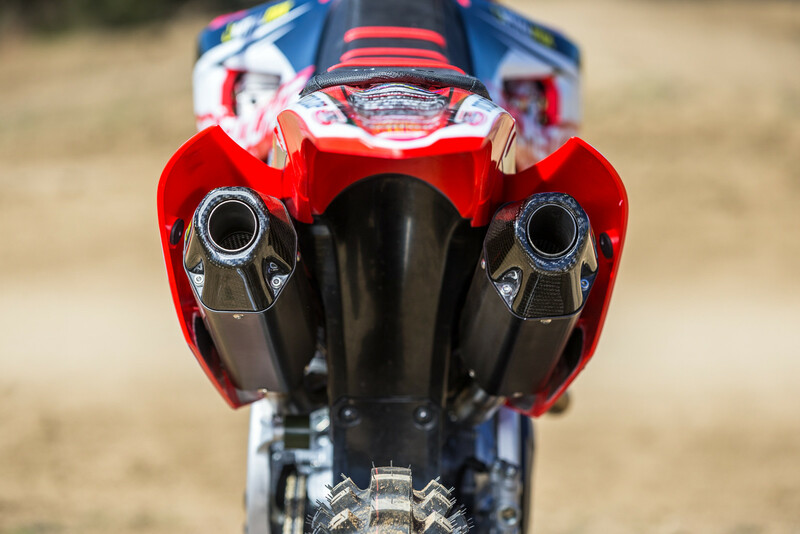 Do you need this much power from a 450? No, but is it most certainly fun! Honestly, a bit of mapping like found on this bike can go a long ways with an exhaust. But if you still need more, a 450 with serious numbers can be tamed with a little electronics work. So if you want more but are afraid of making it rideable, just go to the right people, they can do both.